The three-year process of developing the ADA Mediation Guidelines, housed at the Kukin Program for Conflict Resolution at Benjamin N. Cardozo School of Law, saw a tremendous collaboration with mediators, stakeholders and advocates. The Guidelines were issued in February 2000 by a national Work Group of twelve mediation practitioners, trainers and administrators [full list available in the Guidelines publication]. This group convened to develop mediation practice guidelines unique to conflicts arising under the Americans with Disabilities Act and similar laws promoting the eradication of discrimination against persons with disabilities. As the Work Group intended, the collaborative process that created the Guidelines has continued in the intervening years. This article addresses some of the resulting developments, the most significant of which have been in the areas of accommodation and mediation capacity, and the author's observations and reflections. Since the ADA's passage in 1990, courts have increasingly narrowed the definition of disability. Many persons who, in the past, were considered to have disabilities no longer meet the legal definition of disabled. Persons with asthma, diabetes, learning disabilities or stress-related conditions may not be legally entitled to a disability accommodation in mediation. Yet these persons may need good indoor air quality, regular breaks, snacks on the table, use of easel and paper to stay on track, or other accommodations to be able to fully participate and exercise self-determination. In the Guidelines, "access to the process" is addressed explicitly as an accommodation issue, and implicitly as a basic mediator ethics issue of self-determination. The Work Group's thinking was that mediators already had the responsibility to do what they could to make the process accessible to any participant, regardless of the reason for the party's limitation. To clarify that the mediator's obligation to accommodate is an ethical issue, the Guidelines state that in deciding whether to provide accommodations, "the broadest definition of disability should be applied, including chronic conditions, episodic symptoms and temporary disabilities. This is in keeping with generally accepted mediation principles that the parties be able to participate fully in the process." The recognition of the breadth of the mediator's obligation to accommodate bridged the gap for the Work Group between mediating with persons with a disability as defined by law or whose impairments don't rise to that level and to those persons with no impairments. The EEOC, in an audio conference sponsored by the Thompson Publishing Group, has indicated that employers should consider offering accommodations whether or not an employee has a legally recognized disability [www.thompson.com/libraries ]. Naomi Levin of the EEOC noted that such liberal accommodation policies improve morale and increase productivity. The same benefit is realized in mediation. Parties participate most effectively in an accepting and accessible environment. Accommodating, even if the impairment does not rise to the level of disability under the law, makes for a quality mediation process. There may be a host of non-disability-related reasons why a person - with or without a disability -- may need assistance to gain access to the mediation process (e.g., location of the session, starting time, child care issues, and language barriers, to name a few), a disability-related obstacle being just one potential area for "accommodation." Obstacles to full participation in mediation can be addressed and accommodated by talking with the affected party. 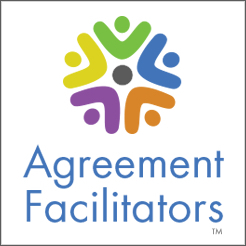 This developing practice needs to be expanded to include explicit efforts to meet the needs of any mediation party who faces obstacles to participation. The Guidelines refer to the obligation of the mediator to "determine whether a disability is interfering with the capacity to mediate and whether an accommodation will enable the party to participate effectively." The mediator is not making a diagnosis nor should he or she "rely solely on a party's medical condition or diagnosis" in assessing capacity to mediate. As with any assessment of mediation readiness for persons with or without disabilities, providers "evaluate a party's capacity to mediate on a case by case basis ..." based on such factors as his or her understanding of "the nature of the mediation process, who the parties are, the role of the mediator, the parties' relationship to the mediator, and the issues at hand … whether the party can assess options and make and keep an agreement." This mediation capacity assessment needs to be respectful and "collaborative" to the extent that it stays within the bounds of impartiality (real and perceived). The process might more properly be referred to as an "exploration" of options by the mediator and the party. The Alternative Dispute Resolution Committee and the Disability Committee of the Association of the Bar of the City of New York have formed a joint committee to explore this issue. They are currently looking at mediator codes of conduct that typically include clauses stating that mediators should terminate or postpone the session if a party cannot participate due to "physical or mental incapacity." These clauses are commonplace and are included in the widely followed Model Standards of Conduct for Mediators, written before passage of the ADA and before the recent common understanding of the obligation to accommodate [American Bar Association Sections of Dispute Resolution and Litigation, Society for Professionals in Dispute Resolution and American Arbitration Association]. The Guidelines contributed to a new way of looking at capacity: the notion that when a party appears unable to comprehend the process, issues, or settlement options, or to participate actively in the process, the mediator should explore options with the party before outright termination or postponement of the session. Like in the disability accommodation model, the mediator and the party, with or without a disability, work together on identifying accommodations, modifications or adjustments that would enable the party's fuller comprehension and participation. Accommodation procedures still do not appear to be part of the culture for mediation providers. The Guidelines suggest that, "Persons conducting intake or case development should notify the mediator of a case of any disability accommodation required to enable a party's participation in the mediation." To enable this, "provider organizations should have in place policies and procedures concerning accessibility ..." to elicit, discuss and record the relevant information. It appears that many or most organizational providers still do not have procedures in place for the request of disability accommodations to mediation. Providers need to establish and to inform mediation participants of the availability of such procedures. Mention of the availability of accommodations needs to be a regular part of intake and convening conversations [See box for some tips on procedures for providers]. To support this, providers need to include on intake forms, confirmation letters, and other relevant documents the availability of accommodations and how to request them. This process is interactive and conducted, to the extent practical, with the parties in joint session. 1)	Parties list the essential job functions and other relevant issues (chart paper is helpful). b. identify job functions where the employee needs a reasonable accommodation. 3) Parties discuss each function that needs accommodation. 5) Agree on solutions a. Agree on a process for follow-up and possible modification in the future. b. Put agreement in writing, if appropriate. The reasonable accommodation process is meant to be interactive. Both parties -- employee (and union, if relevant) and management -- have obligations to contribute to a collaborative process. As part of the process, consider demonstration of performance of job functions, necessity for documentation, and/or participation of resource persons. The Guidelines refer to the usefulness of bringing in resource persons to provide "supplementary disability-related information" where this information is central to a meaningful resolution. Preparing the expert to participate most productively in the process, including emphasizing the importance of impartiality and determining ways to use the person's expertise most effectively are evolving best practices. In our maturing field, we continue to share thoughts, try out new ideas and collaborate to move our practice forward and provide the best quality process that we can. The ADA Mediation Forum, sponsored by Mediate.com [http://webboard.mediate.com/~ada ] continues to be a gathering place for the exchange of ideas and the development of ADA mediation practice. The ADA Mediation Guidelines originally stated that "Mediators, program administrators, mediation consumers, and advocates are encouraged to put the Guidelines into practice and to participate in on-going collaboration regarding their application and development." ADA Mediators have embraced this call with a wholehearted enthusiasm that has resulted in the Guidelines' continual development and in widespread improvements in the practice of ADA mediation.